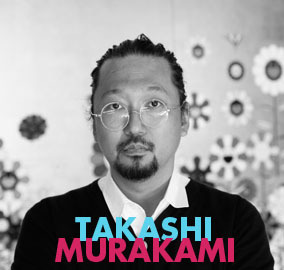 Takashi Murakami was born in Tokyo. 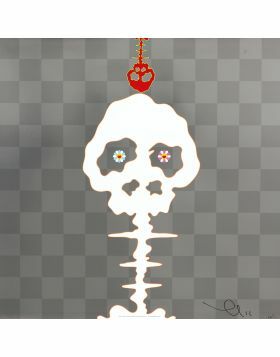 He is a great fan of Manga and he wants to became a painter of this. 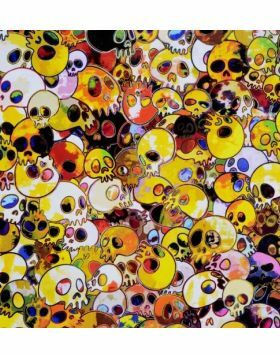 He studies traditional japanese painting at the Art University of Tokyo. 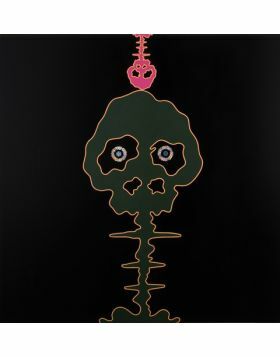 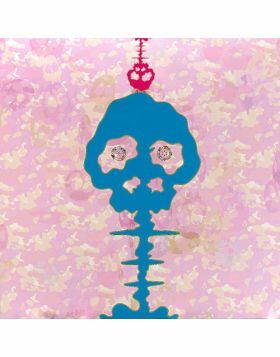 He makes is debut with his first personal exhibition in Tokyo in 1989. 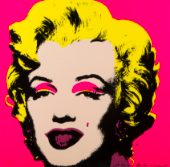 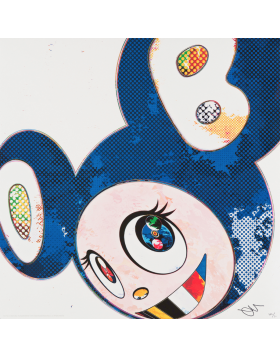 He moved to New York and he was fascinated by Andy Warhol's factory, so he founded his Hiropon Factory. 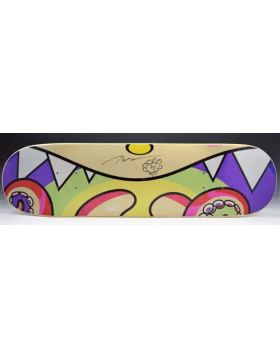 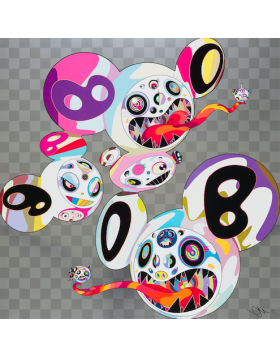 Murakami exhibited in many important museums and he deals with an exhibition called Superflat, that the artist will became a real japanese art's movement. 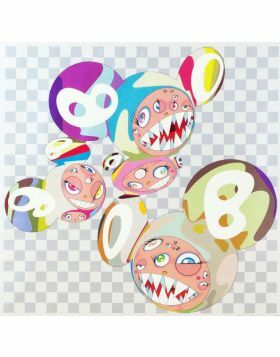 This style is characterized by the integration of many elements like the Japanese culture, anime of 70° years and Japanese paintings, all melted and flattened images from smooth surfaces and brilliant colors. 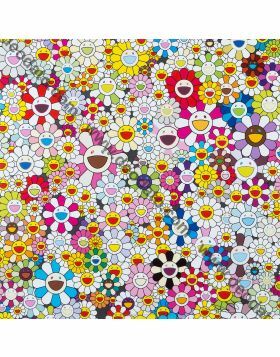 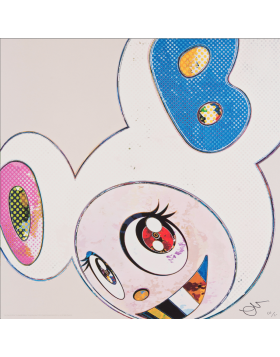 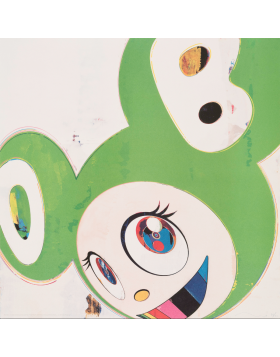 The Murakami's artworks become true icons monuments of japanese society, making the artist one of the best representatives of cultural originality of contemporary Japan.